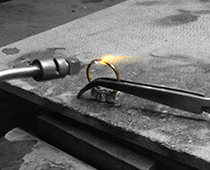 All of our wedding rings, whether it be a plain or a traditional wedding ring including complex bespoke pieces of jewellery are hand-made in our workshop in the heart of Birmingham’s Jewellery Quarter. 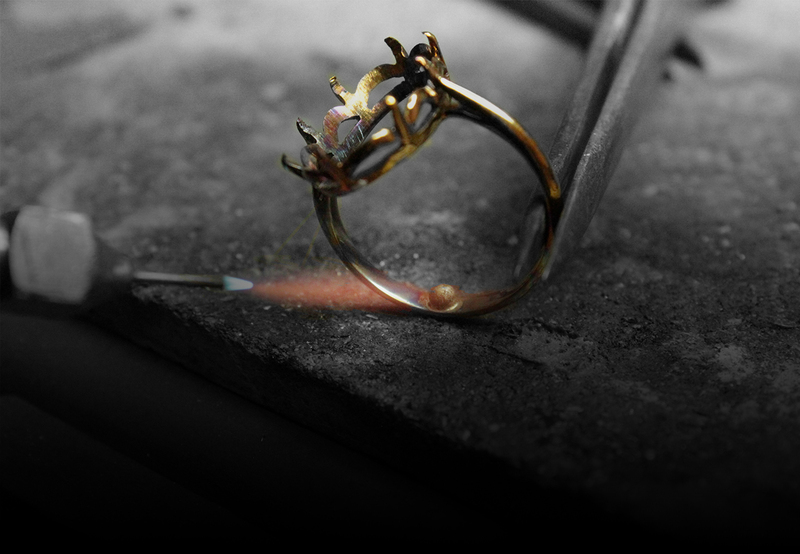 or a complex bespoke item, all hand-made in our workshop in the heart of Birmingham’s jewellery quarter. 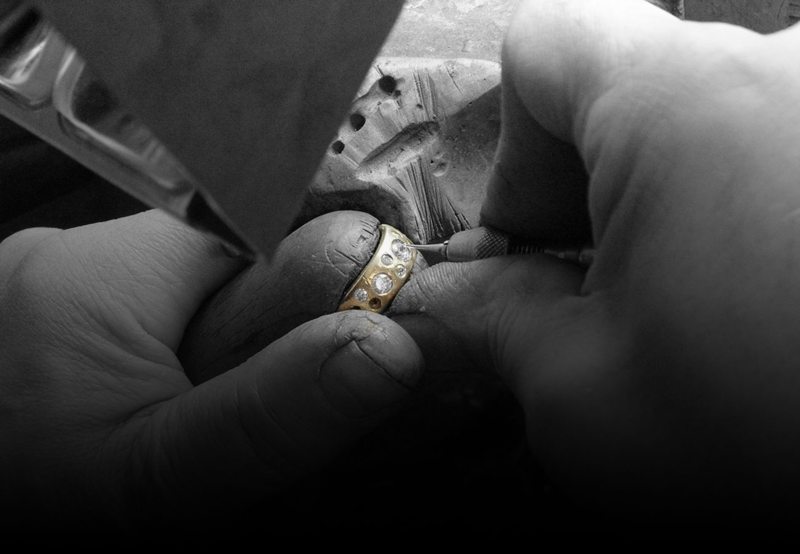 We create our jewellery using a combination of traditional goldsmithing techniques and the latest technological advancements. 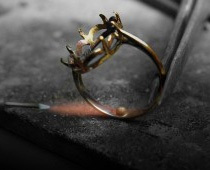 Centuries-honed traditions are enhanced through Computer Aided Design, Laser Engraving and 3D Printing. 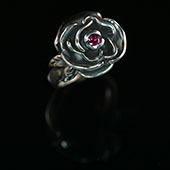 This lets us create truly unique jewellery for you the wearer. We would love to from you with your ideas, so please get in touch with us to see how we can create something that is truly unique to you. “Simon is fantastic. My fiance had an odd request for an engagement ring, a bike tyre! This was no trouble and Simon designed the perfect ring. 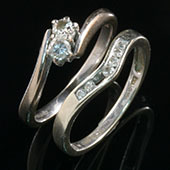 He also designed me a beautiful ring to match my antique looking engagement ring. 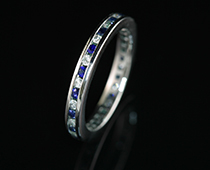 Its lovely to know they have been designed especially for us and at a reasonable price to. Simon also had a ring that i had inherited resized for me, it was lovely to hear a little about where the ring may have come from and it now fits perfectly. 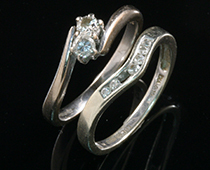 I would highly recommend the ring lab and can’t thank Simon enough for our beautiful rings.” – Helen M.
“Thanks to The Ring Lab for a fantastic , friendly and impartial and honest service, I managed as a ‘man’ to impress everyone with the ring I chose with the help from Simon. 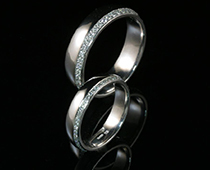 Will definitely be coming back for wedding bands and also recommending to everyone. 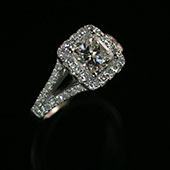 Ps for all you internet users ,,, there was no need to visit The Ring Lab for me as everything was done over the emails and a few telephone conversations.” – Raj T.
“Fantastic Advice and Help, Suberb customer Service, and great value – I had my engagment ring mended and a stone replace – I wasn’t sure what stone I wanted but Simon asked me what sort of things I liked and found the perfect stone for which which I didn’t even know exsisted! 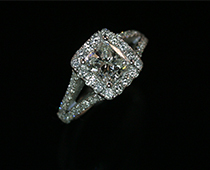 I now have my very own unique Engagment ring and had countless compliments on it – would definatly recommend.” – Lisa M.